FOUR runners from Cebu bagged the local overall crown in the Luzon-Visayas-Mindanao simultaneous race. Cebu’s runners asserted their dominance against the counterparts from Manila and Davao City as they bagged four local titles in the simultaneous 7-Eleven Run Series on Sunday, Feb. 3. 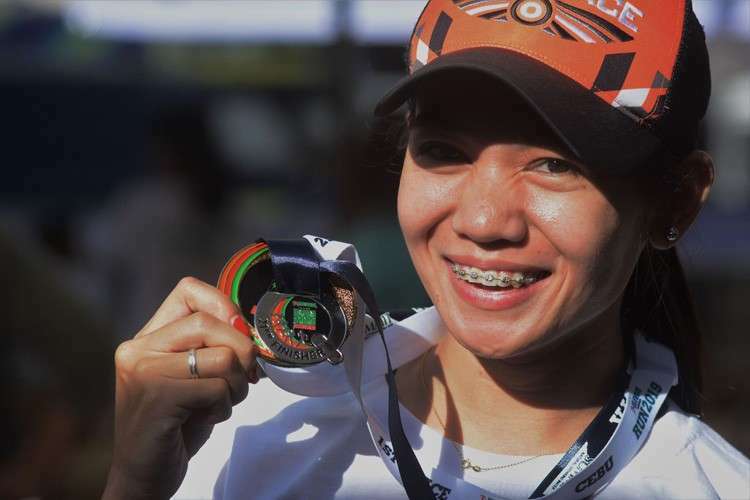 Southeast Asian (Sea) Games gold medalist Mary Joy Tabal, Prince Joey Lee, Azlan Pagay and Ruffa Sorongon all ruled their respective divisions at the Cebu Business Park. Simultaneously, they also held races in Manila and Davao. The times of the participants in all three legs were gathered to award the overall top three in the 42-kilometer, 32K and 21K categories. Tabal was the fastest in the women’s 21K with a time of 1 hour, 24 minutes and 39 seconds, while Lee had the best time in the men’s 21K after breasting the tape in 1:12:22. In the 32K race, Pagay clocked 1:56:53 to take the men’s local overall crown, besting the runners from Luzon and Mindanao, while Sorongon dominated the women’s side with a time of 2:22:01. The top runners in the 42K, 32K and 21K will be sent by 7-Eleven Philippines to an international-sanctioned race in Asia.